Fun Educational Apps website reviews educational apps for kids in different age categories. They also list sale apps or apps gone free. This is a new website I just stumbled upon and found a number of interesting apps suited to OT practice. The matching and dot to dot activities are tasks familiar to OT’s and can be treatment activities to add to your OT iTool kit. Although I have not tested this app, it has gotten great reviews (5 stars) as a recent release. Available for iPad, iPod/iPhone, this app normally sells for $1.99. I hope you’ll be able to take advantage of this freed app. If you aren’t able to get this app in time, there are other apps listed that seem worth the visit. 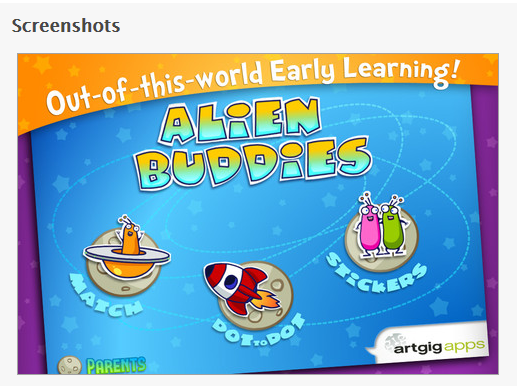 The Fun Educational Apps deals appears worth visiting or adding to your RSS feeds list. Another good tool for your OT iTool kit! This entry was posted in App Reviews, Apps for OT's, Early Childhood, Fine Motor Development, iPad, iPhone, iPod, Visual Motor, Visual Perception and tagged App Review sites, iPad, iPhone, iPod, occupational therapy, OT Apps, Visual motor apps, Visual Perception. Bookmark the permalink.